Hack it like a arduino or build on it like an AVR. 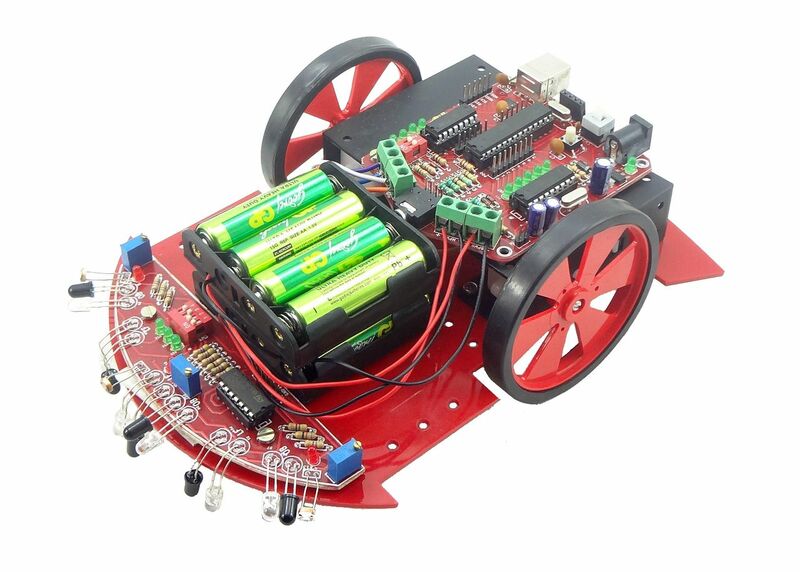 Integrated DTMF and Motor driver, will help you build you're next superbot with ease! Robotics board based on Atmega8 MCU. Sensor shield to make line follower, light follower and obstacle avoidance robot. USB to UART convertor (CP2102) for communicating with computer, make acomputer controlled Robot. MCU with bootloader, no external programmer required. For addtional downloads, tutorials and support visit the product wiki page!